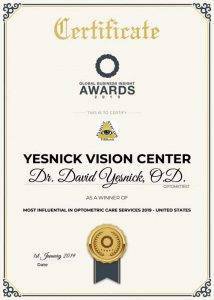 Dr. Yesnick and his staff did a wonderful job of making what is normally a dull chore an interesting and informative visit. 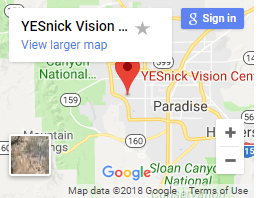 From being pleasantly greeted upon my arrival, to Dr. Yesnick’s thorough examination, as well as David the optician’s patient and knowledgeable explanation of my choices for glasses and payment, my visit couldn’t have been better. Thank you for being pleasant and professional.  I can’t recommend this office and these wonderful people enough!